Invoice history based on 174 reviews. 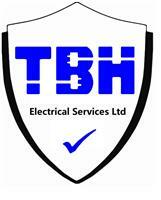 TBH Electrical Services are a trusted, professional Company dedicated to the highest standards of service and safety in every aspect of our trade, with over 10 years experience within the trade. We are based in Cobham covering Surrey, Hampshire and Berkshire. We can undertake all your Electrical needs and as a member of NICIEC our service provides the safest solutions and the highest quality. We consist of a small team of fully qualified electricians and a competent domestic installer. With a combined knowledge covering all aspects of electrical work, we are very confident we can cater for all your electrical needs, no matter how big or small. All electrical work is done to the highest standard and every member of the team offers a friendly, reliable and competent service. We offer a full range of services for domestic properties as well as a sub-contracting service to builders and other contractors ranging from small local projects to major national work, and everything in between. All workmanship is fully guaranteed for 6 years. For a free, no obligation quote, contact us today. We also offer a broad range of services for commercial work to contractors who need an extra hand.